Working as an artist -in-residence at PhotoAccess Gallery I have had invaluable input and support in my work and have had the opportunity to participate in the many programs they have to offer. PhotoAccess gallery has a new residency program starting up called Double Exposure, a program specifically targeted towards rural and interstate artists. 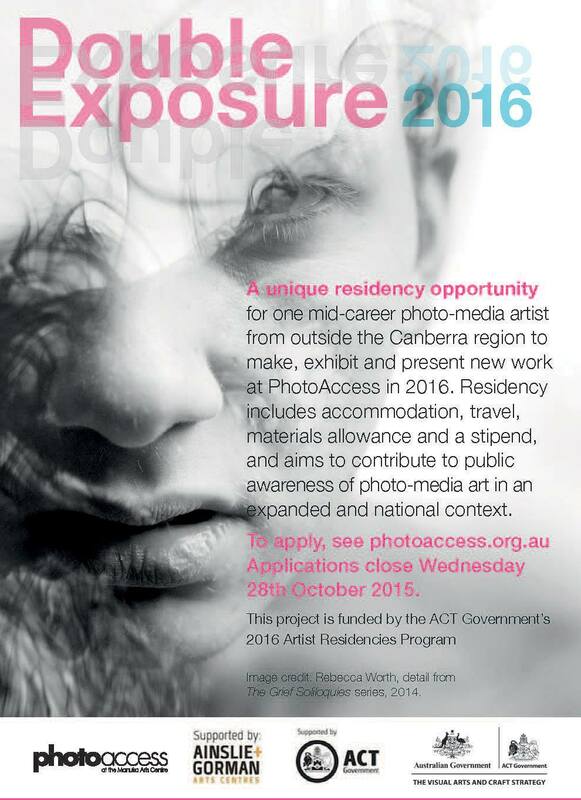 A fantastic opportunity for new perspectives and work to be displayed in Canberra. I have been lucky enough to have my image “David” used as the backing image.